Taking the various waterways – the traditional transport routes of the Mekong Delta River should be the most stunning way to observe the hustle and bustle on the rivers and canals to feel Can Tho and the Mekong Delta at their fullest charm. 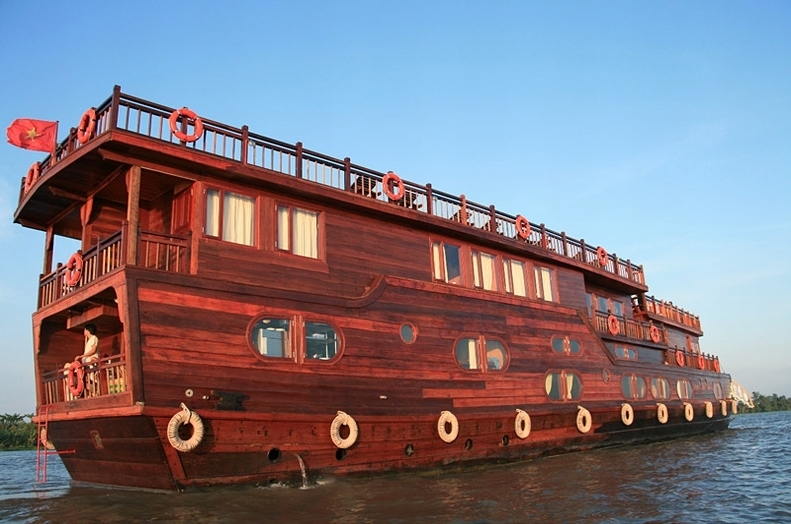 A harmonious mix of modern boutique style and comfort with the traditional local materials and design patterns, Mekong Eyes Cruise will take you to the hidden gems of the Northern Mekong Delta that the larger ones cannot reach. In addition to admiring the mesmerizing sceneries from the luxury boat and exploring the vibrant life of the local inhabitants in the Mekong Delta, you are also free to combine your relaxing river cruise with a bike tour to explore the off-the-beaten-path life or do a side trip with sampan to get a unique perspective on the water life and the gorgeous scenery. Where will Mekong Eyes bring you to? In this market, which opens from around 05:00 till around midday, you will have an amazing chance to see hundreds of boats standing side by side, buy goods that you cannot find in your homeland such as: fresh tropical fruits, durian, rambutans, etc, or salted fish, garden tools or crafts; sample Southern Vietnamese dishes such as: Hu Tieu, Pho, and talk with some of these lovely floating merchants and even take photo with them. Paddle along the river while managing to use chopstick to enjoy a bowl of Pho should be an unforgettable memory. With three elegant rides sharing the same standards but mostly differing in size, Bassac Cruise Mekong Delta ensures that all passengers will have an unforgettable trip discovering the way of life of local people, seeing them in their trading activities, being warmly welcomed by their hospitality as well as knowing more about the diversity of cultures of the Mekong Delta area. On a 3-day-2-night journey with Bassac Cruise, you will be taken to Tra On Market, Cai Be floating market and a handicraft village in Cai Be while getting enjoyment taking advantage of first class services. The picturesque setting along the banks of the Mekong River viewed from the deck on board will also keep you excited all the way coming to your destinations. Don’t forget to get your camera ready to take really nice photos of them. Otherwise, just lazily lie on the bench on the spacious sundeck and see the landscape passing by. 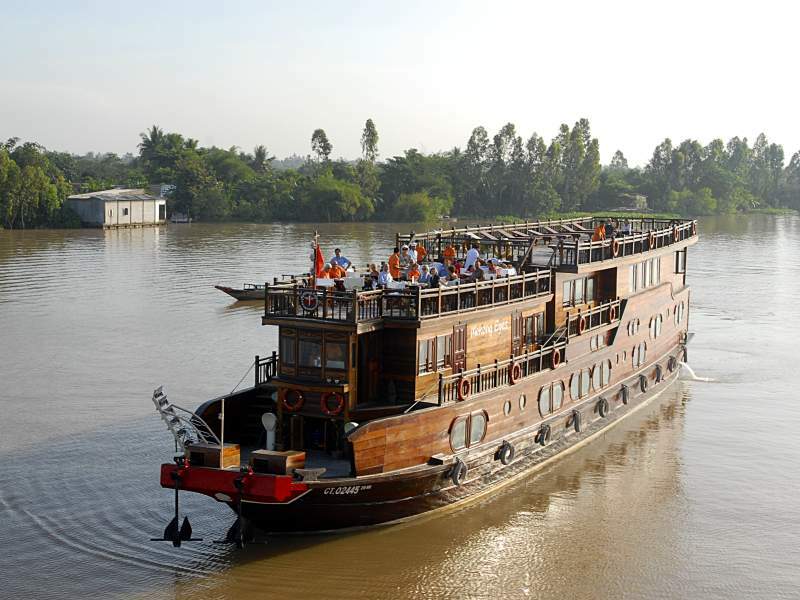 What make Bassac Cruise different from Mekong Eyes? 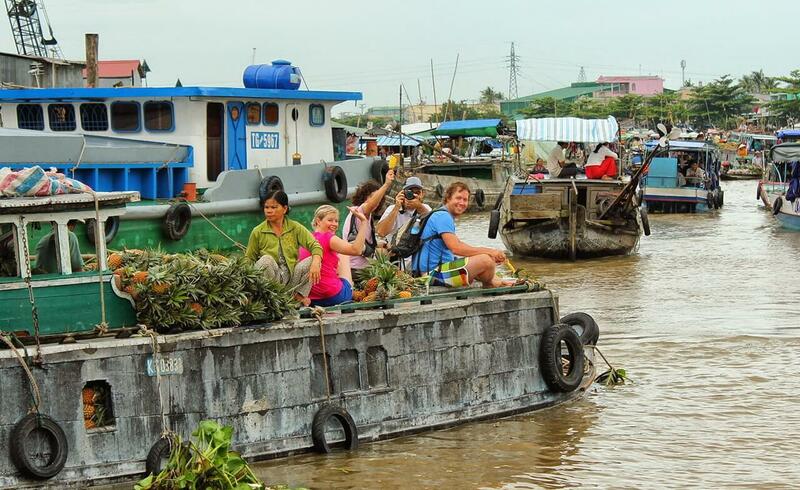 Bassace Cruise makes itself different from Mekong Eyes by taking you to Tra On floating market. Consisting of two main areas: one stretching along riversides and another floating on the river, Tra On Floating Market is not only one of the longest-existing marketplaces in the cultural life of people Vinh Long but also the most typical cultural activity in the Southwestern region. Like other floating market, Tra On Floating Market, where all the exciting and bustling activities take place on the dock or on boats, begins a new day when most people are still on bed and come alive from 5-6 AM onwards. In spite of not being as busy as Cai Be, Cai Rang floating markets, the relaxed, small floating market of Tra On, outside the idyllic town at the mouth of a channel, is still a perfect spot for homeland and nationwide travelers to visit.